In our modern and busy lives, it is becoming more and more difficult to find time to prepare healthy home cooked meals and, because of that, many people turn to fast food joints and street vendors in order to have more time to accomplish their tasks. Preparing healthy food can be fast and easy, especially with these recipes, and you might even have fun in the process. 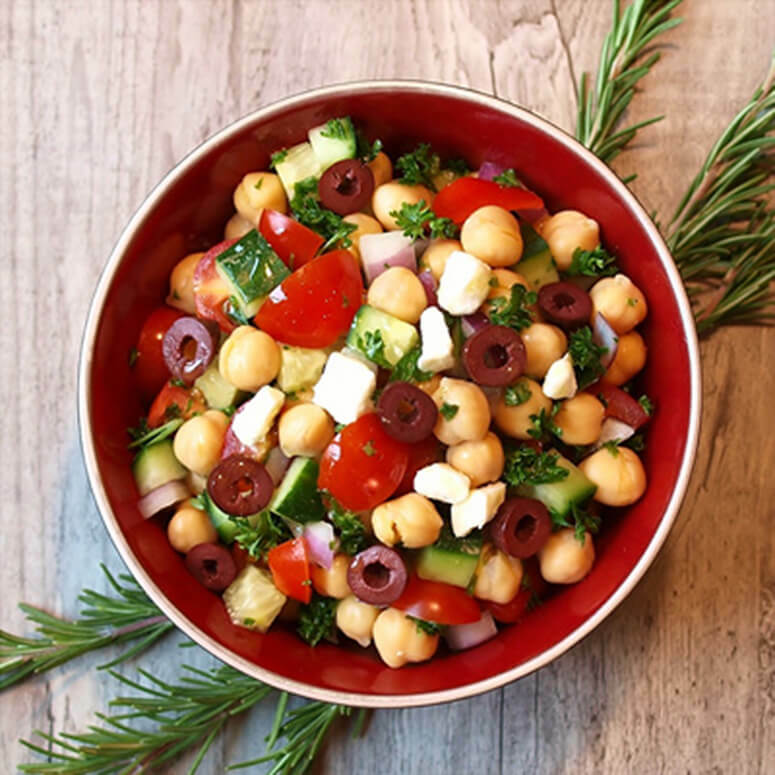 The preparation is very simple – combine all the ingredients, minus the feta cheese and stir everything up. Leave it in a bowl for 30 minutes and then sprinkle it with feta cheese. This meal is considered as a traditional Mexican breakfast and it may seem like it is full of calories, but the fact that it is baked and not fried makes it a healthy meal. One of the best ingredients in this dish are black beans because they are so rich in protein and fiber. Preheat the oven to 450 degrees. In a pan heated on medium heat add onion and cook it until it is brown, then add garlic and, after one minute, add chicken and cook it for 30 seconds. Take that mixture, put it in a bowl and add the beans. Add the broth and salsa in the pan, boil it and let it simmer. 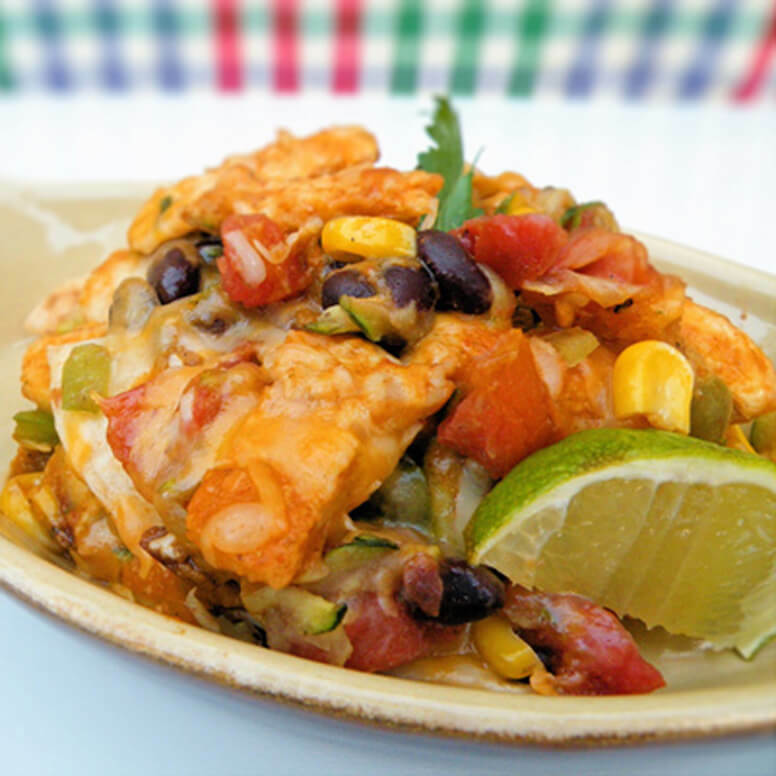 Take the tortilla strips and place them in a baking dish and lay the mixture with beans and chicken, repeat the process and add the broth and salsa mixture on the top. Sprinkle it up with cheese and bake in the oven for about 10 minutes. The dish is ready when the tortillas get a light brown color and the cheese is completely melted. We all know that fish is full with protein which is good for our diet, and there is no better fish than salmon, which is also rich with monounsaturated fats, and it contains heart healthy fats, known as omega 3s. 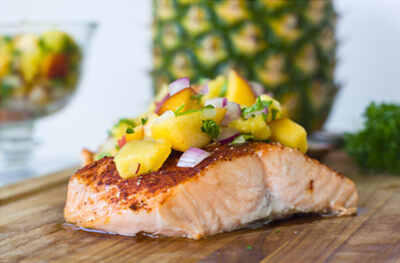 Combine the pineapple, red onions, cilantro, vinegar and pepper in one bowl and set it aside. Heat the grill pan, use a nonstick on medium heat, take the fish and sprinkle it with salt and put it in the pan where you will cook it for 4 minutes on each side until it is ready. Top the salmon with the mixture you have made before and voila, you have a healthy and delicious meal. 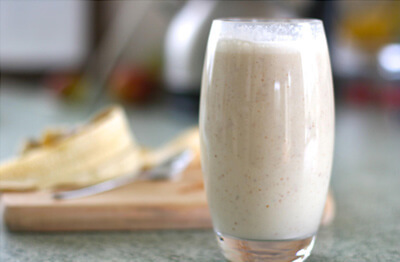 This smoothie is a perfect drink for appetite suppressing, because it is rich in proteins, it has both bananas and almonds which are full with starch. You can consume it either as a breakfast or as a snack. For the preparation, you need to put all the ingredients into a blender and blend it until it becomes smooth. Simple, right? Desert doesn’t have to be unhealthy, especially if you try this amazing and easy recipe. 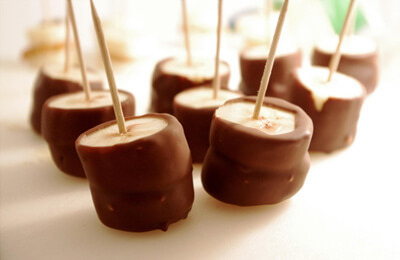 Take 2 tablespoons of chocolate chips – not too sweet and 1 small banana – peeled and cut in small chunks. Take the chocolate chips and put them in a microwavable bowl and melt them on high temperatures in the microwave, then dip the banana pieces in the melted chocolate. Delicious and yet a healthy dessert. Who said cooking is hard? With these healthy and delicious recipes, you will wow your friends and family, so go get the ingredients and start cooking like a top class chef.